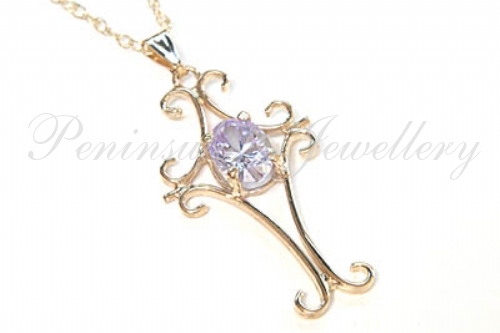 Featuring one 7x5mm oval cut Cubic Zirconia gemstone, claw set in the centre of this elegantly crafted 9ct gold cross. Gemstone weight: .50ct. Dimensions: 28mm x 14mm (excluding bail). Supplied with an 18" 9ct gold Prince of Wales chain. 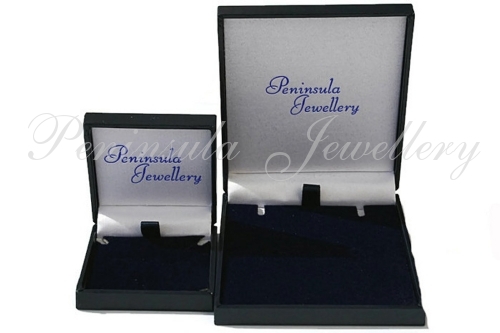 Made in England and supplied in a luxury gift box - Great gift!! 9ct Gold Emerald and Opal Oval cluster Pendant with chain.